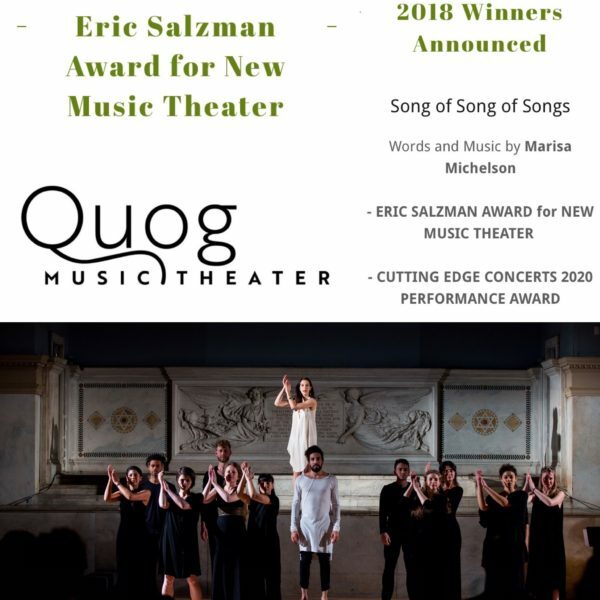 Marisa is honored to win an inaugural Eric Salzman Award for New Music Theatre Composition, which includes a performance of Song of Song of Songs at Symphony Space in early 2020 as part of Cutting Edge Composers Concert series. Thank you Quog Music Theater. And thank you to all the members of Constellation Chor who have continually committed their talents and energies to the development and performance of this music.